Alex and I thought that today we probably needed to eat all our fat for the week this morning. It was worth it, but won't happen again for a while. I perfect the art of poaching eggs, made my favorite English muffins, and tried out blender hollandaise. Alex cooked some super thick cut bacon, and all together, oh my gosh. This is a special breakfast, and didn't even really take that long. All together it took about an hour - way more than I'd spend on breakfast on a regular day but very worth it, especially if you have guests to impress. Sorry I'm not posting recipes, I don't want to lift off Simply Recipes and I've already posted about English muffins. 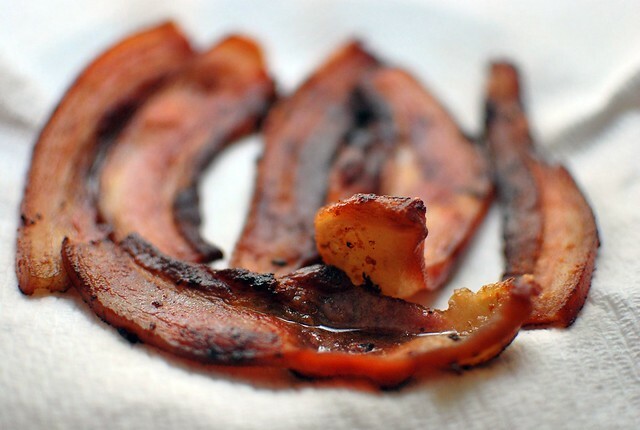 Thick bacon is the best, but make sure you cook it enough that it can break apart, and it's not too chewy. To assemble, place an English muffin on your plate. 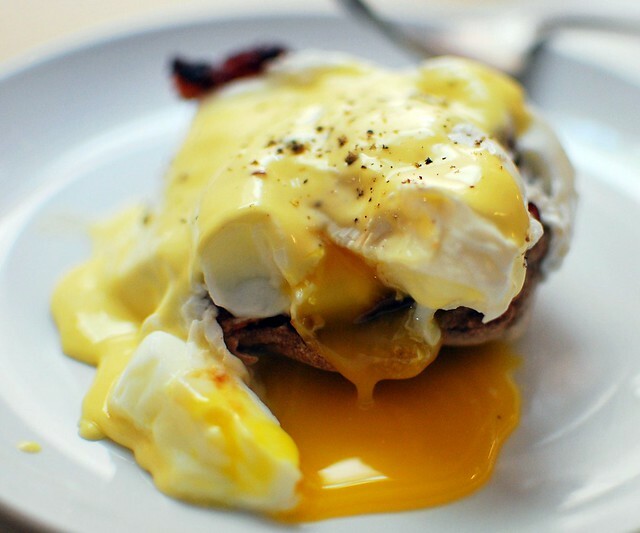 Top with some slices of bacon, a perfect poached egg, and some Hollandaise. Try not too inhale it. 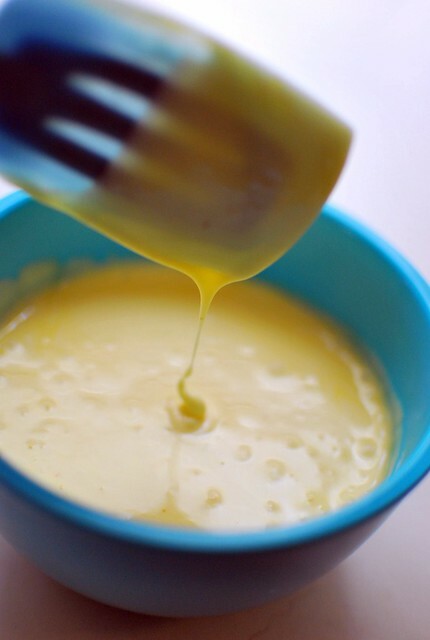 Blender hollandaise is genius. No more whisking over a water bath and the fear of breakage. Hooray! OMG I NEED this. ASAP. 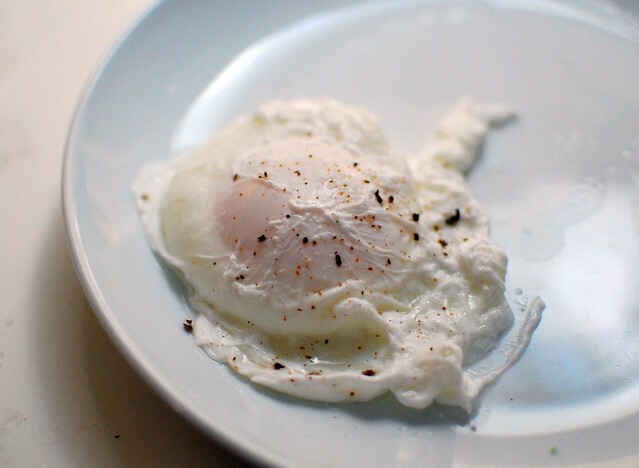 I love eggs benedict. that. is. just ... *drools* ... absolutely perfect. i LOVE blender hollandaise. LOVE it. I usually only do this for special holidays, but wish I could eat it every day! Oh thank you so much for making gluten free english muffins that look like real english muffins. My husband has been missing these. Now I have an excuse to try eggs benedict (never had it). Oooo, definitely time to make your English muffins again! They are the best I've ever made. 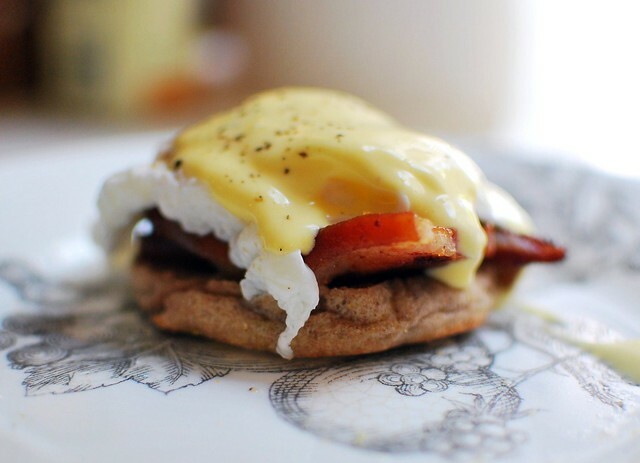 And, I have to say, I've never been an eggs Benedict fan...BUT these photos are convincing me. Maybe, now that I'm grown up, it's time to give it another try?? Did you get a new lens for your camera? Your photos keep getting more and more amazing. Definitely cookbook quality!